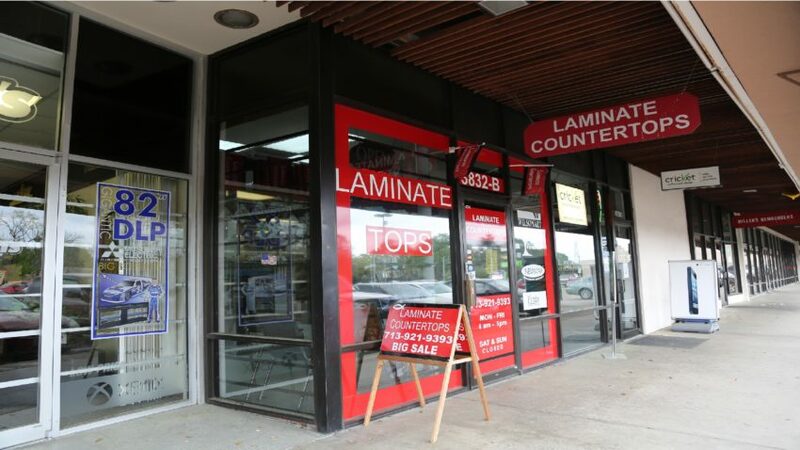 At Laminate Countertops, we offer the best selection of products, laminate and countertop installations, fabrications, and repairs at affordable prices. Our laminate products include over 1,500 colors, more than 20 countertop edge styles, tools, hardware, wood, and much more to choose from. We can give you the option to install all of the countertops for you, fabricate the countertops for you to install, or sell you all the necessary materials for the do-it-yourselfer in you. Don’t worry if you’re not located in or around Houston, TX, we can ship any of our laminate, tools, and countertop products to you anywhere in the United States. Our goal is always to be as knowledgeable, experienced, up-to-date, and professional as possible. We strive to give you the highest level of quality products and customer service where your satisfaction is guaranteed. Thank you for choosing Laminate Countertops. If you are looking for a reliable company, you have found it. We are one of the main suppliers for factory wholesale and retail for laminate and have been in the countertop business for many years and know how difficult it is to find prorated materials, quality workmanship, devoted workers, excellent service, affordable prices, and guaranteed customer satisfaction. Here you will find the most Wilsonart and Formica colors to choose from for kitchen and bathroom countertops. Our goal is always to give our best effort in building your counter to make sure you get the greatest degree of perfection. You can rest assured your countertops will be in good hands. GOD BLESS OUR TROOPS. Thank you for choosing Laminate Countertops. LAMINATE can be installed in one day. LAMINATE lasts longer than most products. LAMINATE is the #1 choice in the industry. LAMINATE has a wider selection of colors. LAMINATE is the most affordable product. LAMINATE will increase your home value. LAMINATE can be inexpensive to repair. LAMINATE can last longer than 30 years. LAMINATE is the best non-porous product. LAMINATE does not build up bacteria. LAMINATE is maintenance free product. LAMINATE is the easiest to maintain clean. LAMINATE is the most water resistant. LAMINATE will maintain its shine longer. LAMINATE YOU CAN PURCHASE TODAY! LAMINATE is commonly used in kitchens. LAMINATE is commonly used in bathrooms. LAMINATE is commonly used in utility room. LAMINATE is commonly used for desks. LAMINATE is commonly used for cabinets. LAMINATE is commonly used for walls. LAMINATE is used in many reception areas. LAMINATE is used for restaurant tables. LAMINATE is commonly used in lab rooms. LAMINATE is commonly used in hospitals. LAMINATE is commonly used on benches. LAMINATE is commonly used in stores. LAMINATE is used in many gymnasiums. LAMINATE YOUR NEXT PROJECT TODAY! WE-SELL laminate sheets for countertops. WE-SELL laminate sheets for all cabinets. WE-SELL laminate sheets for backsplashes. WE-SELL laminate sheets for interior walls. WE-SELL laminate sheets for cabinet doors. WE-SELL laminate sheets for entry doors. WE-SELL a wide variety of laminate tools. WE-SELL a wide variety of metal hardware. WE-SELL a wide variety of contact adhesive. WE-SELL a wide variety of solvent adhesive. WE-SELL a variety of postform countertops. WE-SELL cut wood for custom countertops. WE-FABRICATE custom counters in store. WE-INSTALL custom countertops on site. FREE-TIPS on how to install laminate sheets. FREE-TIPS on installing custom countertops. FREE-TIPS on how to install post form tops. FREE-TIPS on how to bend laminate sheets.